Greenwing believes portable music should have no attachments. Our technology gets rid of all cables in a gentle way, without streaming gigahertz radiation to your head and body. We designed a new user interface that lets you change tracks and volume without using your hands or voice. 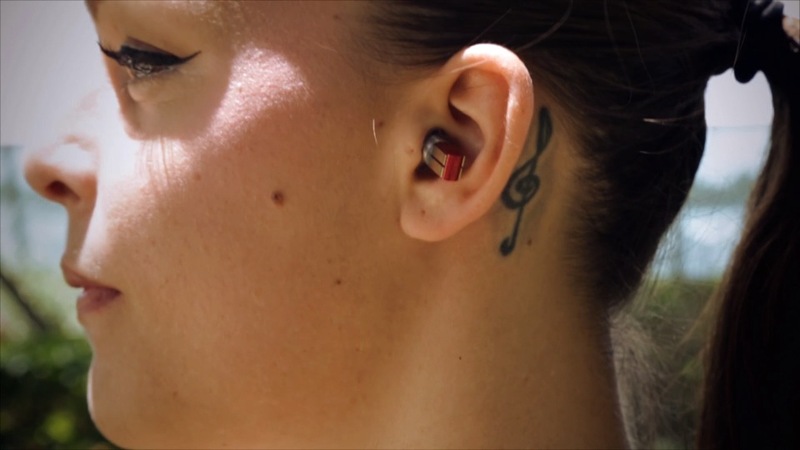 It's a more discrete way of managing playback and it gives you more freedom to move, run and work while listening.... Watch our video. We think Split sets a new standard in bio-compatibility of wireless audio and it is great fun listening. We are working to bring our technology to the market. Come back soon for updates.